537 Kilgo Circle, S214 Callaway Bldg. 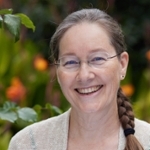 Sara L. McClintock, Associate Professor. Sara McClintock is Associate Professor of Religion at Emory University, where she teaches courses in Indian and Tibetan Buddhism and interpretation theory in the study of religion. She obtained her bachelor degree in fine arts from Bryn Mawr College (1983), her masters degree in world religions from Harvard Divinity School (1989), and her doctorate in religion from Harvard University (2002). Her interests include narrative, philosophy, and contemplative practices, with particular focus on issues of rationality, rhetoric, reading, embodiment, emptiness, and ethics. 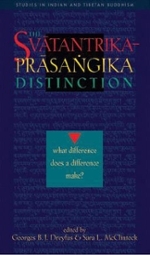 She is author of Omniscience and the Rhetoric of Reason: Santaraksita and Kamalasila on Rationality, Argumentation, and Religious Authority (2010) and co-editor with Georges Dreyfus of The Svatantrika-Prasangika Distinction: What Difference Does a Difference Make? (2003). 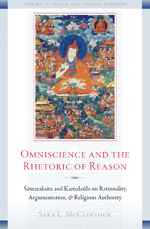 Recent writings include "Compassionate Trickster: The Buddha as a Literary Character in the Narratives of Early Indian Buddhism" (2011) and an article on the status of phenomenal content (akara) in cognition in Kamalasila's Tattvasamgrahapanjika (2013). She is co-translator with John Dunne of Nagarjuna's Ratnavali.